As part of Black History Month, we’ll be sharing inspiring stories from Black and African American alumni of AmeriCorps throughout February. Our first post comes from Tomika Anderson, a two-term AmeriCorps Alum and current AmeriCorps Program Manager at Playworks. My second year of AmeriCorps came at an unusual time for me. I was in my late 20s, finished with grad school, and had several years of professional experience under my belt. I found myself in a really bad work situation and opted to leave instead of being miserable every day. I decided to do another year of AmeriCorps in order to give back. What I didn’t plan on was getting something valuable out of my experience. I knew I’d help others, I knew I’d bring something good to the team, that I would work hard and do everything I could to do good, but I had no clue the gift I would receive from my time with the Youth Volunteer Corps. 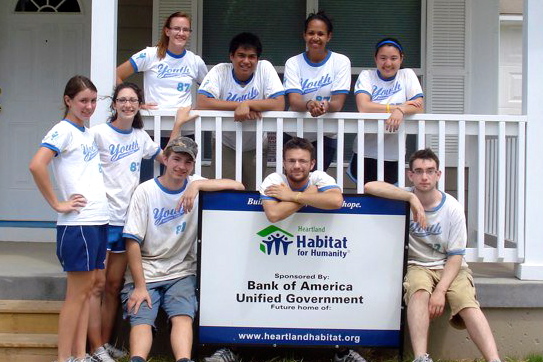 Serving during Summer Week 1: Habitat for Humanity with the Youth Volunteer Corps of Greater Kansas City. April 2011: My life has been really hard this year. I’ve had some really unfair and challenging things to face and overall, it’s just been hard. Despite the hardships, I’ve found ways to be happy this year: my family, my friends, my future, there are good things happening. But today especially, I experienced something that made me feel really, really good about being me and about the choices and sacrifices I’ve made, as well as our country’s future. I work as an AmeriCorps member with the Youth Volunteer Corps of Greater Kansas City. I am a Team Leader who, along with my team, essentially runs the program under the direction of a program director and a part-time assistant. Cultivate relationships with area nonprofits that have volunteer needs. Design volunteer projects (on Saturdays, after-school, within schools, special holidays like MLK Day of Service and over the summer), these projects can include painting, cleaning, caring for the elderly, children or animals, etc. They also include service-learning components and team and leadership building lessons for the youth doing the volunteering. 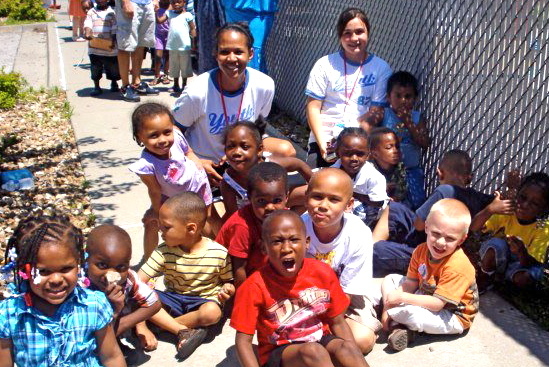 We recruit youth (ages 11 – 18) to come and volunteer at the projects. We volunteer alongside of them while teaching and supervising. 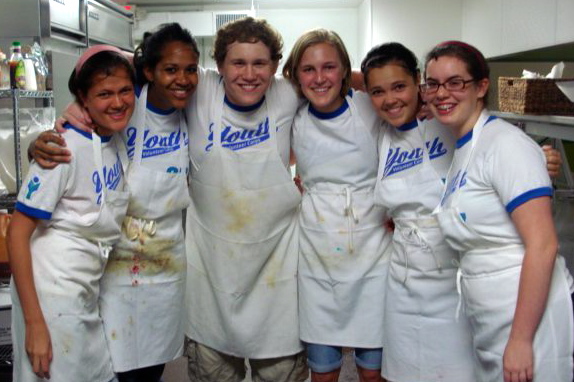 Serving during Summer Week 2: Kansas City Community Kitchen with a group of Youth Volunteers. There are highs and lows of the actual job, of course, and it’s a constant learning process whether it’s creating new systems in the office or dealing with a problem kid who doesn’t want to work. The greatest thing about this job, however, is also one of the things that made me commit to the nonprofit sector, both academically and professionally. It’s the people who serve, in this case, youth. This morning, we begin accepting applications for our Summer Program. The program is 8-weeks long (much like summer camp). There are five project choices each week at a variety of Kansas City nonprofits. Youth can sign up for one week or all eight and they commit to a minimum of 24 hours per project (9-3, M – Th). These projects are fun and work for the youth and can often be a huge opportunity for a struggling nonprofit. The amount of work that a group of just 10 youth can get done in 24 hours is incredible; in fact, one of our biggest challenges is ensuring that the youth will have enough to do and not get bored! This year we have 40 projects with 560 individual spots for Youth Volunteers. I don’t quite remember the math, but it’s about 15,000 hours of service in 8-weeks. To apply, youth or their parents had to come into the office beginning at 7 am to turn in their application. Last year, we had several early birds so we were prepared for a rush of applicants first thing. I arrived at the office this morning at 5:30 am to be greeted by five teens and two parents who had proudly claimed their spot to begin the line. By 6:30 am, more than 50 people were in line, by 7 am over 80. By 8 am, after one hour of accepting applications, more than 150 youth had signed up. By the time I left at 6:15pm that night, 90% of the projects were full. There was no iPad, no concert tickets, no celebrity to photograph. The prize at the end of the line was serving their community…all by people 11 – 18. Serving during Summer Week 4: Operation Breakthrough with Audrey Simmons, Youth Volunteer. People say this country is in trouble. People say youth have no voice. People say that family and community values are lost. They are wrong. This country has its issues, duh, but how incredible is it that kids will wake up hours before school to ensure that this summer, they get to volunteer? To commit to this program, youth are giving a large part of their summer where they could otherwise be working, playing, sleeping, traveling, you name it, but they have spoken. They want to volunteer. This sector that I serve allows that to happen. It houses amazing 501c3s that change bad to good. It gives back. It teaches kids the importance of caring about where they come from and helping those in need for no reason but because it’s the right thing to do. I’ve had a crappy year, there’s no doubting that. But these kids have changed my life and made me see love in a way that is truly, truly special. Not sure what your summer plans are but I guarantee you, my summer plans are pretty unbeatable. 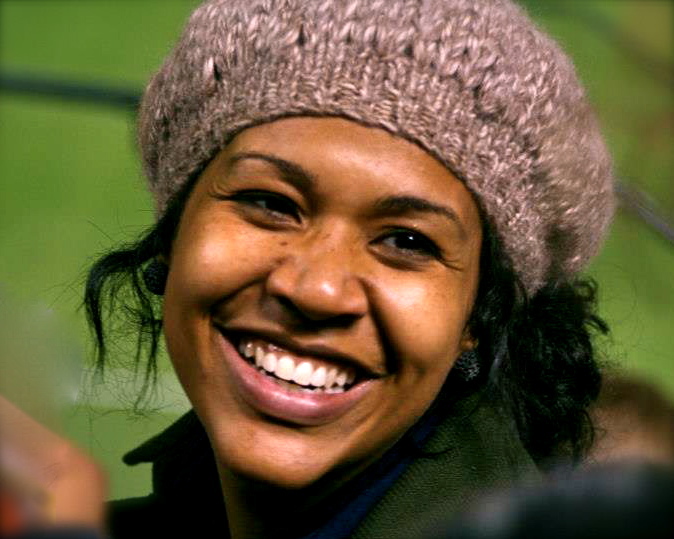 Tomika Anderson, a two-term AmeriCorps alum, currently works as the AmeriCorps Program Manager at Playworks, a national nonprofit organization that transforms schools by providing play and physical activity at recess and throughout the school day. Formerly, she managed a skills-based international volunteer program at Architecture for Humanity and helped create and manage an AmeriCorps partnership program with NCCC and the Nonprofit Leadership Alliance. Tomika resides in San Francisco, CA and in her spare time loves running, Major League baseball, mentoring college students, and volunteering. Thanks for sharing your story! We at YVC truly believe that youth can change the world through service, so thanks for making a difference in the lives of these youth and showing them their potential! Love this woman! I am beyond grateful to have worked alongside you, soaking in your wisdom, inspiring youth volunteers, and laughing all along the way.